It turns out that this device is available prior to 2113, as predicted by Wells. 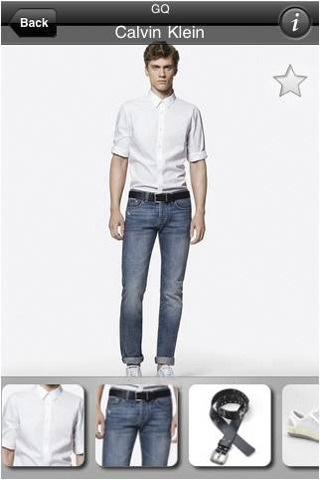 iPhone apps like GQ Style Picks let you see a complete "fashion plate" in a very small format. Depending on the app selected, it is indeed possible to show short videos illustrating different fashion choices.